"We will adhere to normal European social democracy and not the leftist manifesto released by our colleagues," one of the initiators of the planned Lithuanian Social Democrat Labour Party, member of a Seimas group of the same name and Seimas vice Speaker Gediminas Kirkilas said. In political couloirs, there are talks that he is currently held to be the most realistic candidate to take lead of the new party. G. Kirkilas himself neither denied, nor confirmed this, LRT.lt writes. When asked how the Social Democrat Labour Party will essentially differ from the Social Democrat Party, which has long traditions in Lithuania, G. Kirkilas, assured LRT.lt that he believes that his former colleagues are trying to go down the path of Algirdas Paleckis, who is infamous for his pro-Soviet views, "One of the key reasons for our disagreement was the leftist manifesto they announced and are now hiding for some reason. They imagine that if they turn to some sort of left, they will reach better results. They are practically attempting to go down the path of A. Paleckis. Meanwhile Social Democrat leader, Vilnius vice Mayor Gintautas Paluckas categorically refused to comment on G. Kirkilas' evaluations and the plans for a new party, whose core, as was announced earlier, should be formed by the group of Social Democrat veterans who split off. "They said that the party will be founded in January, later they said in February, now it's in March. When it is founded, then I will comment. For now I cannot talk about what does not exist," G. Paluckas stated. G. Kirkilas and his other companions have spoken a number of times that many former colleagues from the Social Democrat Party have joined them. According to the Seimas vice speaker, the necessary two thousand party member signatures needed for founding the party have been gathered. However, G. Paluckas assured that only a little over a hundred people have left the Social Democrats' ranks. According to him, they together with the individuals who left the party earlier, the core of which is the members of Seimas calling themselves the Social Democrat Labour group, are luring representatives of other parties and boasting of creating a party. "We certainly would not wish to aid them through any comments or publicity. Let them do their work and try," G. Paluckas said. The previously announced news that a number of Labour Party representatives and formerly member of the Order and Justice Party, advisor to impeached President Rolandas Paksas, Raseiniai region municipality administration director Remigijus Ačas with a group of followers plan to join the Lithuanian Social Democrat Labour Party was not denied by G. Kirkilas. 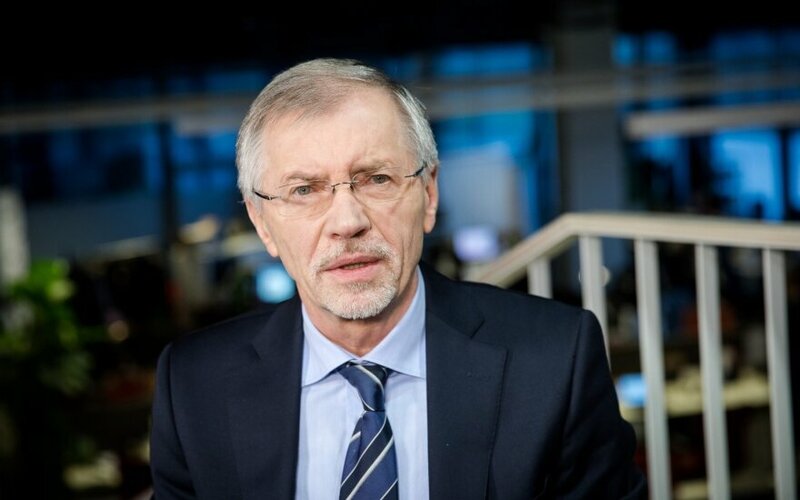 Several months ago, one of the most influential veteran members of the Labour Party, former MP Kęstutis Daukšys left the party, confirming his intention to join the Social Democrat Labour Party. "I believe that today there is a void in the Lithuanian political left and it needs to be filled. I am inclined to be a member of a leftist party and if it was otherwise, I would not join it," he said. Recently the Labour Party patriarch, MEP Viktor Uspaskich described former comrades K. Daukšys, Živilė and Jonas Pinskus, Vydas Gedvilas and a number of other Labour members as sell-outs, traitors and political prostitutes, who did nothing for the party in the past two years. "Despite him choosing an incorrect way of life, in this case his actions differ from his rhetoric, even if I view him as the person, who created the Labour Party. I wish for him to win all elections with it," K. Daukšys responded to V. Uspaskich's statements. Former MP V. Gedvilas assured he is still a member of the Labour Party and has no intention to return to politics for now. Širvintos region Mayor Ž. Pinskuvienė, who led the Labour Party for a time, was uninclined to comment, stating that she was busy with municipal council issues. "I'm not going, nor anything else. They [the founders of the Lithuanian Social Democrat Labour Party) are urging me. I am awaiting the party's founding congress. I will see what team gathers, then I will make my decision," R. Ačas told LRT.lt, when asked if he intends to join the upcoming new party. He departed the Order and Justice Party quite some time ago. Similarly, he bid farewell to the civic movement Rasos, which has operated since the year 2000. When asked whether he espouses social democrat values, the former Order and Justice member explained that he primarily cares for a "predictable power to enter" the Raseiniai region municipal council, stating, "In the regions people know one another very well and ideological views have the least significance. As such, I and several other members withdrew from Rasos and if needed, we will form that branch of the Lithuanian Social Democrat Labour Party. It will not be in the thousands, but the fracture in the Social Democrat ranks must be exploited." R. Ačas was positive regarding the individuals brought up by the founders of the new party. He was left with a positive impression from G. Kirkilas, Minister of Foreign Affairs Linas Linkevičius, K. Daukšys and V. Gedvilas. "Most importantly, these individuals are predictable," R. Ačas emphasised. In response to analysts' observations that the controversial former Social Democrat MP Andrius Šedžius plans to join the Lithuanian Social Democrat Labour ranks, R. Ačas retorted that, "Some describe A. Šedžius as marginal, others – me. But what did A. Šedžius steal? What of him participating in a dance contest and buying a young girl a car? What is better – to buy a girl a car or sit behind the steering wheel drunk? I am not like Vytautas Šustauskas, who stumbled around drunkenly in a square." Talks are floating around in the Seimas that apparently its chancellery is not opposed to the upcoming party's headquarters being based in one of its offices. "No headquarters are needed. These are not the front lines. There is a workgroup, which is at work. They are our group members and two employees at the information centre. Currently we do not have any premises for the party, but in the future we will of course have to rent them," G. Kirkilas spoke of party founding realities.